Free delivery and voucher codes for buying fashion, beauty, home and electricals at House of Fraser. House of Fraser is one of the UK’s best known, trusted and leading department stores selling top branded clothing for men, women and children including Kenneth Cole, Diesel, Hugo Boss and Armani. They are renowned for selling quality goods with an excellent customer service that you would expect from such an established retailer. As well as clothing they also stock home wear, fragrances and beauty products, household appliances and home electrical. Get the lowest priced item free, when you buy three selected Home products. Free delivery and assembly on furniture when you spend £1,500 or more saving £30 off the standard cost. Monday to Friday, between 7.30am and 6pm. Spend as little as £50 to take advantage of the free postage and packing promotion. House of Fraser focuses on providing men’s wear, toys, home appliances and more and at a very affordable price with discounts up to 70%. The House of Fraser home section is very easy to navigate. The deals are listed in a picture format and you can see the top offers that they have available at the moment. At the top of the site in the middle, you will find a search option and you can use this feature to find the products that you need according to their keyword. You can also shop by department or by brand, if this is something that you would prefer. We’ll start with the women’s products. When you click on the women’s range, you’ll get an option to search for what you want according to the section you want to shop in. For example, on the left hand side, you will see jeans, swimwear, skirts, plus sized clothing, coats, knitwear, tops and more. There are hundreds, and sometimes even thousands of products in every category and when you do click one of the items you will be taken to the product screen. At this point, you will be able to choose the colour and the size. If you aren’t sure what size you need, you can type on the fitting option. This will give you the chance to type in your height, weight, body shape and age. Based on this data, the website will then generate the size that is more suited to your needs so this is a great feature that should not be overlooked. When you add your item to your basket you will then be able to see the item that you have got and the size as well. From this point, you will then be able to find out if it is available for buy and collect. Other items include collect+ and Ireland delivery as well. Of course some items are also available for international delivery as well so it has never been easier for you to find what you need. You can also add your delivery option as well and from here, the shop will calculate a price for you. If you do have a promotional code then you can add it at this point as well, so all in all, it is very easy to buy products from the House of Fraser. If you wanted to buy and collect your item then you can do so with ease. You will need to order by midnight if you want to qualify for this service but there are other options available if you wanted to get your item delivered. You can pay £6 for nominated day delivery and if you want it by the next evening then you can pay £8 for this. If you want it pre-noon the next day then you will need to pay £8 again but you will need to order by 7pm in order to get this option. 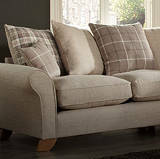 At the time of writing House of Fraser are offering free delivery on home and fashion orders plus free furniture shipping when you spend £1500 or more. If you find that there is a problem with your item or if the item arrives and it is damaged then you will need to contact House of Fraser as soon as your package arrives. The team will then do everything that they can to sort out the issue for you and they will either give you a refund or a replacement product depending on your needs and what you have purchased. If you want to find out more about their returns policy then contact them today, as the policy is not listed in full on the site.